We have two lakes that are easily fished from shore, by wading, or by float tube. 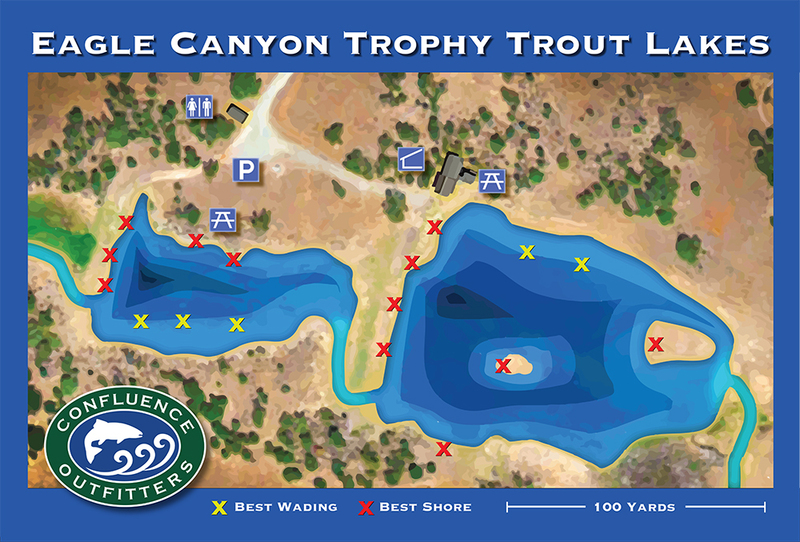 The lakes are stocked with trout from 4 to 15 pounds. Our average fish is about 6 pounds. Float tubing is allowed in the upper (larger) lake and the lower lake is reserved for wading and shore fishing. Our trout can be caught on nymphs, streamers, and occasionally on dry flies. 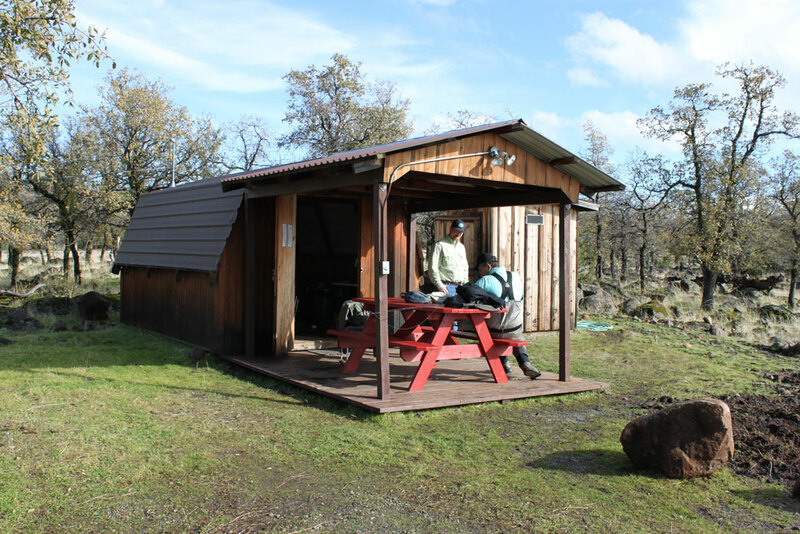 On-site facilities include picnic tables, a shed, and a bathroom with running water and flush toilet. We have two picnic tables, one of which is covered with a roof. Our main shed has a portable heater, chairs, refrigerator, microwave, coffee maker and drinking water. The shed and covered picnic table make an excellent refuge from the elements. Many of our guests bring their own propane grills and cook their own lunch on our covered picnic table. We have three float tubes available for rent for just $20/day. These are top-of-the-line Fish-Cat float tubes. They come complete with fins and a stripping basket. You can reserve them in advance or on the day of your trip. Feel free to bring your own float tube or pontoon boat. Float tubing is allowed in the upper lake only.